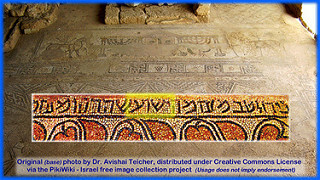 Ancient Jewish Synagogue Carving Mentions Jesus | Have Ye Not Read? Nevertheless, the information in the video certainly is fascinating. As you know, secularists claim there’s no historical or archaeological evidence whatsoever that Y’shua — Jesus — ever lived. If it’s true, and has not been faked as a means of drawing Christian tourists, this is one of the most interesting and important archaeological finds in recent memory.